I Want the World to Be Glass…. “If you treat glass right, it doesn’t crack. If you know the properties, you can make things; the color of dusk and night and love. But you can’t control people like that and I really, really wish you could. I want the world to be glass.” (Cath Crowley, Graffiti Moon). On Venice’s famed isle of Murano, glass masters keep alive the art of lampworking. 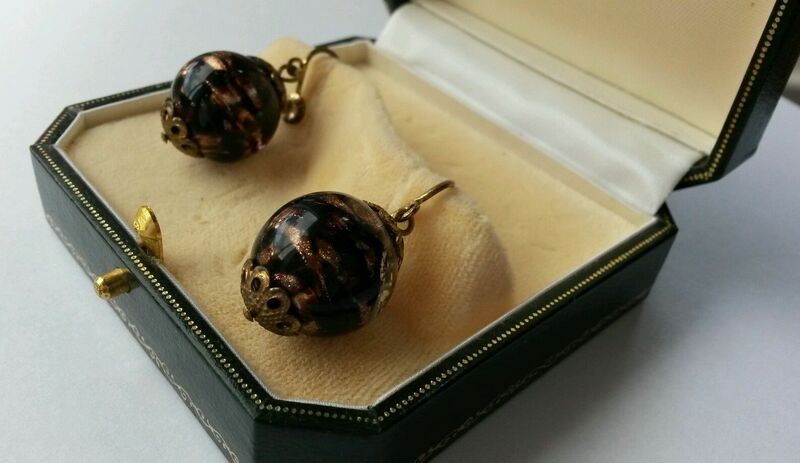 Each of the beads in these graceful Murano earrings is individually made over a hot flame, uno alla volta. A unique, individual, antique, dusk coloured pair of luscious earrings, available here!